The Mastery Foundation returned to Israel In July 2008 to take the next steps in the five-year plan that was created with a group of core participants in the summer of 2007. Though we were clear about the vision, the plan, and even the next steps to take, the connections, progress, inspiration, and pleasure were beyond anything we had imagined. As always with Mastery, the work is fun and the fun is the work. To read Nancy Juda’s report on the visit, click here. After three years of work and planning, the first cohort of the School for Leadership will meet in Northern Ireland in November. Made up of grassroots community and religious leaders from Israel, the United States, Northern Ireland and Ireland, the group begins a three year program that promises to leave them able to make a significant difference in the workability of the communities they serve, and to do so in a way that members of those communities are able to fulfill those concerns that matter most to them. You can read more about the building of the School at www.schoolforleadership.org and we will report on the November program in our first newsletter of 2009. 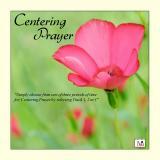 Limited copies of a new CD designed to support you in the practice of Centering Prayer are now available. The CD contains the basic guidelines for Centering as well as tracks for 10, 20, and 30 minute prayer periods. It was created and produced by Finnian Gallagher with the assistance of Brighde Vallely and Fionnuala Quinn. To order a copy, mail a check for $15 payable to the Mastery Foundation to 15 Philip Circle, Plymouth, MA 02360-1658; or contact information@masteryfoundation.org to pay by credit card.